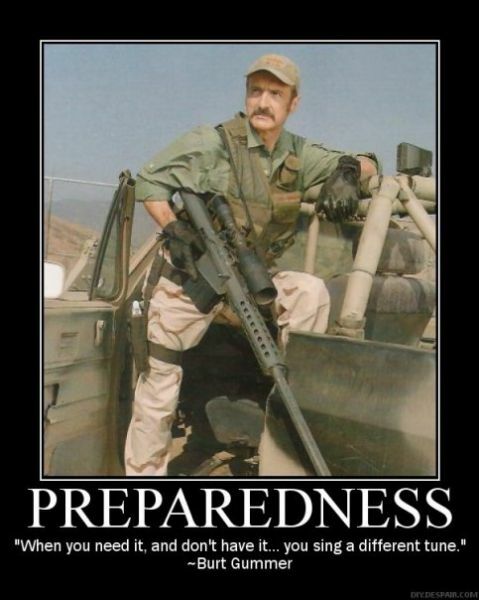 The general population looks at preppers/survivalists as fringe, perhaps even as mental patients. Yet, we still try and educate them, even equip them to some extent. Why? It’s simple really. If we are wrong what have we lost? If we are right what have they lost? When, not if, things go badly, who will the unprepared run to? This entry was posted in Country, Department of Homeland Security, Emergency, God, Louisiana, Military, Nature, Patriotism, Survival, Survivalist and tagged Country, Emergency Survival, Louisiana, Nature, Survival, Survivalist. Bookmark the permalink.